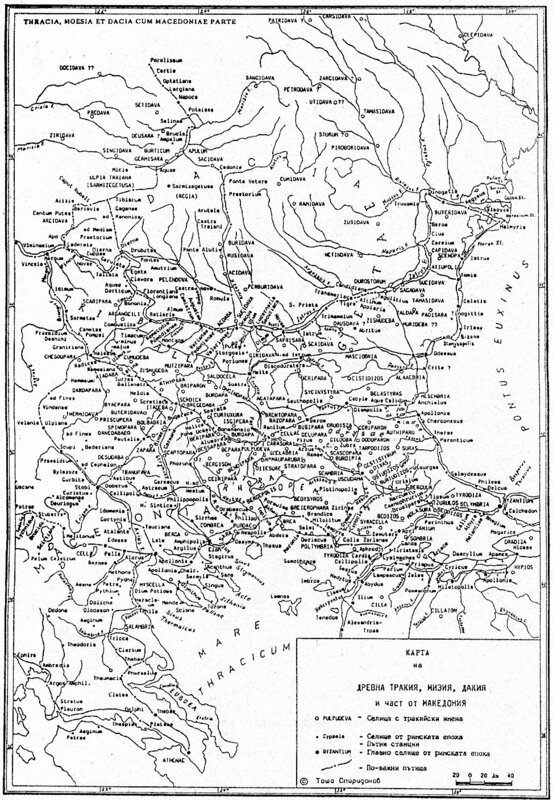 The author considers the types of settlements used by the Thracians. A chronological survey is made of the settlements which existed from the end of the 2nd millennium BC to the end of the pre-Roman period. The brief historical-geographic characterization allows to consider the different types of settlements also in connection with the respective geographic environment, with the economic characteristics and in accordance with the stages of the ethnic and social development of the Thracians. 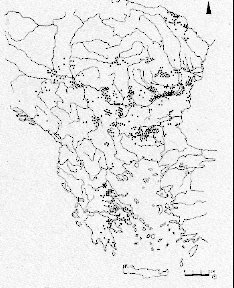 The evidence from the excavations of different archaeological sites - settlements - reveals the principal features of the different types of settlements in various parts of ancient Thrace. The dwelling is one of the main elements of the ethnographic characteristics of the Thracian ethnic community. 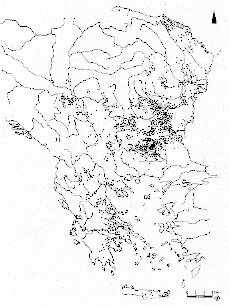 Due to the almost complete lack of detailed evidence about the dwellings of the Thracians, their principal characteristic features have been derived on the basis of archaeological materials and the scanty data in the works of the ancient authors. The dwelling is studied in evolution, starting from the Neolithic Age, in order to trace the principal typological features. The dependence of the main features - agricultural, stockbreeding, ore-mining, military, etc. - of the economic character of the settlements is demonstrated along general lines. The changes in the construction, plan and purpose of its different part, both in functional terms and with respect to theorganization of the social space in the settlement, are demonstrated. 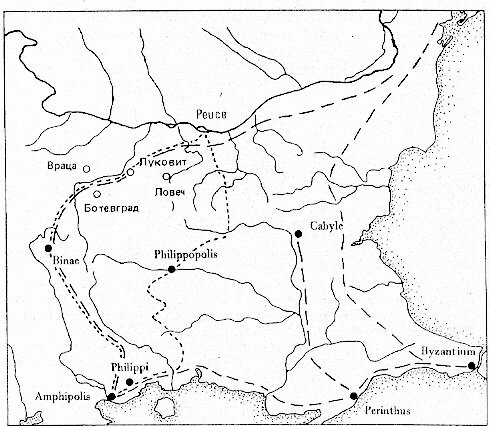 The text considers the main traces of the routes crossing ancient Thrace during the different historical periods. 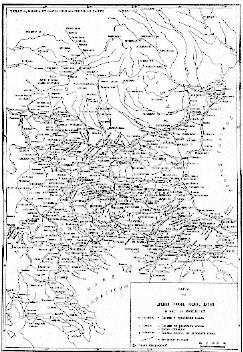 Above all, the answer is sought to the question whether the Thracians had permanent routes, or whether they used only the principal directions, tracing their roads depending on the season and on the character of the respective geographic region. The principal roads, which were later covered with stone pavement during the Roman period, were formed during the early period in the existence and development of the Thracians. 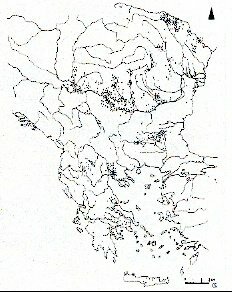 These are: the main route along the Danube and Hebros rivers, along the Black Sea coast, along the Aegean coast and the principal meridional road that started from the Baltic Sea, crossed the Carpathian Mountains and then the Danube river at Oescus, the Balkan Range at Sostra and the Rhodope Mountains along the Chernatitsa ridge, descending via Tsigansko Gradishte to the Aegean coast. At the same time, there existed numerous secondary local roads. 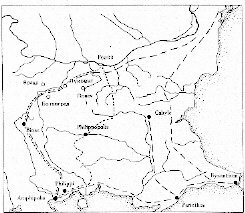 The principal roads were paved with stones during the Roman period, thus becoming actually the skeleton of the constant communication network through which the integration of ancient Thrace in the Roman Empire was assisted. During the period under consideration, vegetarian food predominated in Thracian cuisine. Leavened and unleavened bread was used, as well as porridge made of barley and wheat groats.Other foods were: milk, cheese, broad beans - mashed and in the form of soup, fresh and dried peas, and lentil. During the warmer months the food was diversified with fresh vegetables (dock, sorrel, cabbage, etc. ), mushrooms and fruits (apples, peaches, grapes, etc.). Fresh fish, game and domestic animals were the source of animal proteins. Meat food was consumed rarely, moreover predominantly in the cold months, when it was possible to conserve it. The Thracians usually had two meals per day. There were foods that attributed a special image to Thracian cuisine: dairy products (yoghurt, butter, cheese, curd), the drinks and dishes made of millet, consumptions of onion and garlic, use of wine undiluted with water. Fabrics and clothing were made at home during the period under consideration. Outer garments were sewn, using fabrics made of hemp, flax and wool, naturally or artificially dyed, with woven or embroidered decoration. The way in which the clothes were worn depended on the season and on the type of work practiced, with certain regional differences. Women most often wore long shirts gathered around the necks, or a long-sleeved garment sewn on both sides and with a slit for the head, both garments being tied at the waist. The men's costume had at least two varieties: narrow trousers resembling the modern pantyhose and a short shirt tucked into it, combined with an outer shirt-like garment, tied at the waist. 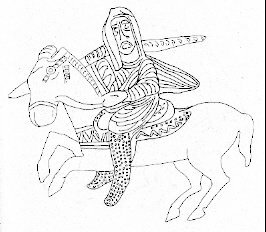 Over this clothing, cloaks, fur coats and the characteristic Thracian zeira were used. 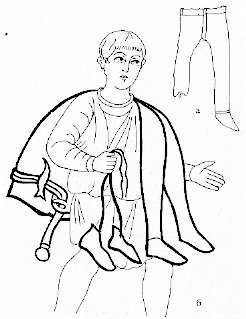 The costumes were completed with fibulae, leather or textile bells, various articles of adornment, etc. 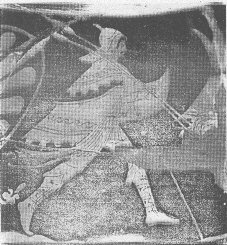 The Thracians depicted on painted Attic vases are recognized both by the signs of the mythological tradition, and by their appearance. 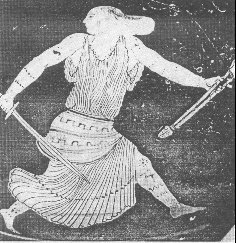 For instance, Thracian female slaves often had long loose hair or their hair was cut very short. The exposed parts of their bodies are tattooed. 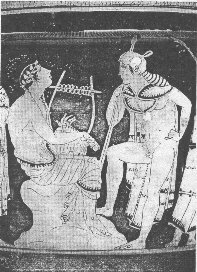 They are usually dressed according to Hellenic fashion, but some attributes (short chiton, leather hat and boots, multicoloured cloak) suggest their ethnic belonging Thracian men were most often depicted wearing a short tunic, a multicoloured cloak (zeira), hat and boots. 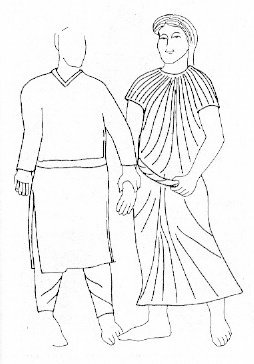 This type of clothing should be considered only in connection with definite Thracian tribes (i.e., those inhabiting the lands between the Strymon river and the Black Sea coast), and not for entire Thrace. Ritual pits are discovered in the embankments of the tumuli, below them and outside the necropolises. The making of the pits belonging to the first group coincides with the commemoration of the anniversary after the death of the person buried; these pits were a place from which and through which the living communicated with the world of the dead. The two other groups of pits have the significance of altars in sanctuaries, connected with the fertility cult. Pit sanctuaries and the pits in the tumular embankments can be associated with the rock niches hewn near to or outside the rock tombs - both chronologically and in terms of their purpose. Animal sacrifice was an important element in Thracian burial rites. The significance of tliese sacrifices should be sought along two lines: the animals were either intended for food, or they had to accompany the deceased in his journey to the world beyond. An earlier and relatively more stable idea was connected with sacrifices in connection with funerary feasts and the supply of food from the funerary feast to the deceased. 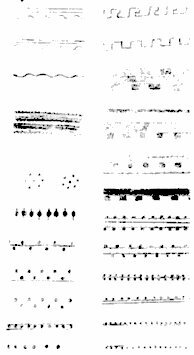 It suggests the existence of beliefs which focused around the notion about the deceased as a table-companion and host of the funerary feast. Horse and dog sacrifices point to ideas about their mediating role between the worlds of the living and of the dead, and their perception as symbols of power and immortality. 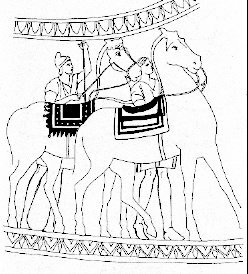 Burial rites occupy an extremely important if not foremost position in the Thracian system of customs, due to the fact that the dead ranked higher than the living in ancient Thrace. 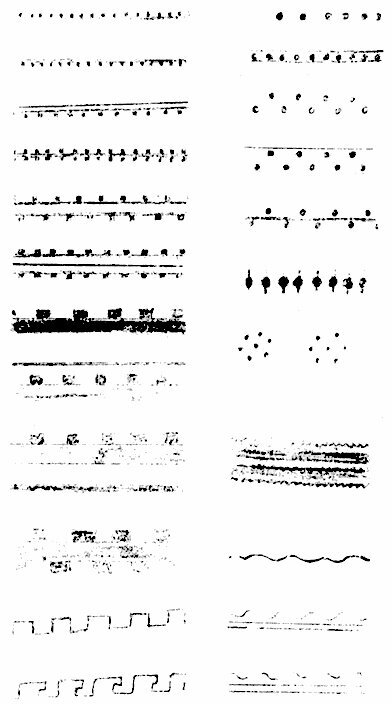 All rituals performed between the occurrence of death and the closing of the grave (the closing of the eyes and jaws of the deceased, bathing, preparation of the body which was left for three days to lie at stake, mourning, animal sacrifices and burial feast) were aimed mainly at facilitating the deceased individual to make his transition to the world beyond. The faith in his supernatural power, together, with the apprehension or hope that he is capable of influencing the fate of the living, were among the reasons for the exceptional care devoted to the dead in Thrace. 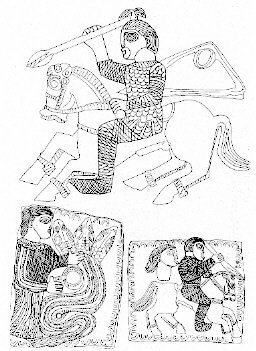 Different contest, games, horse races and combats were organized immediately after burials took place in Thrace. This form of worshipping the dead was practiced by many peoples in the antiquity, and everywhere it was a means of satisfying the needs of the living to worship the deceased or to bring him peace. The link with the deceased was not broken with the burial, which is proved by the numerous visits to the grave, evidenced by the traces of libations, food sacrifices, fireplaces and pits in the tumular embankments. 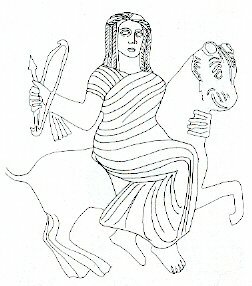 In all probability, the Thracians noted the anniversary of the death of the buried individual and worshipped all dead once a year or at longer intervals of time.